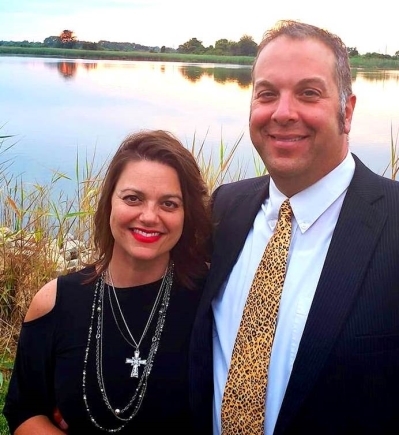 Living in the Hereford Zone and working in Baltimore, Harford & Carroll Counties in Maryland and York & Adams Counties in Pennsylvania, Mike & Monica have an appreciation for rural country living. It’s in their nature to aggressively negotiate on behalf oftheir clients for the desired result. Mike & Monica are a Top Producing Team in the Phoenix Office of Long & Foster withover $80 Million in settled sales. They will guide you through the complicated world of real estate from start to finish and beyond! Mike & Monica will provide you with all of the information you need to buy or sell real estate in Maryland and Pennsylvania. As a Premier Real Estate Team in Greater Baltimore & Southern York, they look forward to serving you and your family and will be happy to help at any time. They are members of the Greater Baltimore Board of Realtors (GBBR), Realtors Association of York & Adams Counties (RAYAC), Maryland Realtors (MR), National Association of Realtors (NAR). Mike is a member of Long & Foster's Gold Team serving the Greater Baltimore, York & Adams County regions and a Lifetime Member of the Real Estate Million Dollar Association (REMDA). "Dear Mr. Foster, I hope that you are well. I am writing because of the wonderful nature of one of your agents, Mike Nelson. He was the listing agent in our August purchase of Middletown Road in Parkton, Maryland. Mike was thoughtful and sensitive to our needs through the purchasing process. At times, I had to remind myself that he was not our agent! We are thankful to Mike for providing such an accommodating, low stress experience. As our agent is retiring soon, I'd hope that Mike would take us on as clients for our next home purchase adventure." "He is truly a remarkable man who displayed an immense knowledge of his field. At no time did I ever feel he wasn't watching my back. Each of my many phone calls to him was returned immediately and he carried me through the entire process. Mike is truly an asset to your company who obviously enjoys his work and is very good at it. He was both attentative and thorough through out the entire process." "Dear Mr. Foster, We recently had the pleasure of working with Michael Nelson of Long and Foster. We were very happy to have Mike work with us to sell our home...Long and Foster is lucky to have Mike on your team and representing your organization."